Dayton, July 11 2018 - Another great Dutch Lions FC week. Dayton Dutch Lions FC (7-2-3) did not play this weekend but remains in first place of the Greak Lakes Conference with 24 points. They did see Michigan Bucks (4-4-3, 15 points) and West Virginia Chaos (3-4-6, 15 points) both be eliminated from the Championship race with both teams losing vs Cincinnati Dutch Lions FC 6-3-3). The team of head Coach Paul Nicholson had two huge wins (1-0 vs Michigan Bucks on Saturday and 0-2 vs WV Chaos last night) to jump to second place with 21 points. On Friday both teams play eachother at NKU Stadium. A win for Dayton means they clinch their first ever Conference Championship, a tie means Lansing United FC (5-2-5, 21 points) is still in it as well. Dayton plays Lansing at home on Sunday while Cincinnati plays the Bucks at home on Sunday, who can also still make the play-offs as n2). 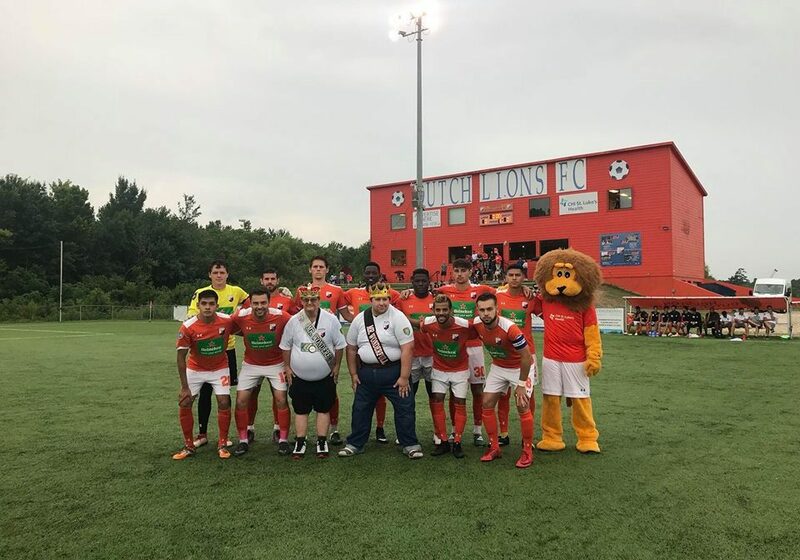 Dutch Lions FC NPSL (Houston, 8-3-0) won their first play-off game at home vs Shreveport Rovers FC with 3-0 in overtime. They now face n2 Midland-Odessa Sockers (7-2-1) away on Saturday in the semi-final. Florida Gulf Coast Dutch Lions FC (5-1-1, 16 points) kept n2 FC Surge to a 0-0 draw clinching the first ever Conference Championship in only their second year of existence. They travel to Chattanooga on Friday to play in the regional championship tournament. Their first game is Saturday, if they win they will play again on Sunday in the final. The winner of the tournament will go to the Final Four National Championship a week later. FC Cincinnati (10-3-5, 35 points) stayed in first place in the Eastern Conference with a 0-0 tie on the road vs Nashville SC (7-3-6, 27 points). They play at home on Saturday vs Tampa Bay Rowdies (6-7-4, 22 points).